William Labov is Professor of Linguistics and Director of the Linguistics Laboratory, University of Pennsylvania. His major studies include The Social Stratification of English in New York City (1966), Sociolinguistic Patterns (1972), Language in the Inner City (1972), Principles of Linguistic Change: Internal Factors (Wiley-Blackwell, 1994) and Principles of Linguistic Change, Volume 2: Social Factors (Wiley-Blackwell, 2001). With S. Ash and C. Boberg, he published the Atlas of North American English in 2006. 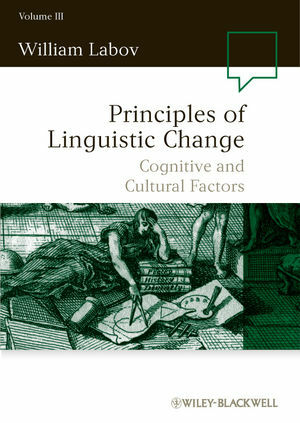 1 Introduction to Cognitive and Cultural Factors in Linguistic Change. 1.2 Cultural Factors in Linguistic Change. 1.4 The Darwinian Paradox Revisited. 1.5 Divergence and the Central Dogma. 1.6 The Community Orientation of Language Learning. 1.7 The Argument of this Volume. 1.8 The English Vowel System and the Major Chain Shifts of North American English. 2.1 The Collection of Natural Misunderstandings. 2.3 How Common Are Misunderstandings? 2.4 What Is the Role of Sound Change in Misunderstanding? 2.5 The Linguistic Focus of the Misunderstandings. 2.6 The Effect of Mergers. 2.9 r-less vs r-ful Dialects. 2.10 Sound Changes General to North America. 2.11 An Overview of Natural Misunderstandings. 3 A Controlled Experiment on Vowel Identification. 3.2 Replicating the Peterson–Barney Experiment. 3.3 Overall Success in Identification. 3.4 Responses to the Chicago Speakers. 3.5 Responses to the Birmingham Speakers. 3.6 Responses to the Philadelphia Speakers. 4.1 Construction of the Gating Experiments. 4.2 Overall Responses to the Gating Experiments. 4.3 Comprehension of the Northern Cities Shift in Chicago. 4.4 Recognition of Chicago Sound Changes in the Word Context. 4.5 The Effect of Lexical Equivalence. 4.6 Comprehension of Southern Sound Changes in Birmingham. 4.7 Comprehension of Philadelphia Sound Changes. 4.8 Overview of the Gating Experiments. Part B The Life History of Linguistic Change. 5.1 Bends in the Chain of Causality. 5.2 Causes of the Canadian Shift. 5.3 Causes of the Pittsburgh Shift. 5.4 Causes of the Low Back Merger. 5.5 The Fronting of /uw/. 5.6 The Northern Cities Shift. 5.7 An Overview of Triggering Events. 6.2 The (Ir)Reversibility of Mergers. 6.3 The Geographic Expansion of Mergers in North America. 6.4 Principles Governing Chain Shifts. 6.5 Principles Governing Chain Shifting within Subsystems. 6.6 How Well Do Governing Principles Govern? 7 Forks in the Road. 7.1 The Concept of Forks in the Road. 7.2 The Two-Stage Model of Dialect Divergence. 7.3 The Fronting and Backing of Short a. 7.4 Divergent Development of the /o/ ~ /oh/ Opposition. 8.1 Continuous and Discrete Boundaries. 8.3 Communication across the North/Midland Boundary. 8.4 The Two-Step Mechanism of Divergence. 8.5 Unidirectional Change: The Low Back Merger. 8.6 Consequences of the Low Back Merger for the English Vowel System. 8.7 Resistance to the Low Back Merger. 8.8 Further Differentiation by Chain Shifts. 8.9 A General View of Linguistic Divergence in North America. 9.1 The Importation of Norms. 9.3 Social Networks and Communities of Practice. 9.6 The Relation of Social Classes in Apparent Time. 9.7 Gender as a Social Force. 9.9 Accounting for the Uniform Progress of the Northern Cities Shift. 10 Yankee Cultural Imperialism and the Northern Cities Shift. 10.2 The History of the North/Midland Boundary. 10.3 The Material Basis of the North/Midland Opposition. 10.4 The Cultural Opposition of Yankees and Upland Southerners. 10.5 Coincidence with Geographic Boundaries of Political Cultures. 10.6 Red States, Blue States, and the Northern Dialect Region. 10.7 Relation of Dialects to County Voting Patterns. 10.8 The History of the Death Penalty. 10.9 Ideological Oppositions in the North. 11 Social Evaluation of the Northern Cities Shift. 11.1 The North/Midland Experiment 1. 12.1 Skewness as an Index of Approach to Endpoint. 12.2 Social Characteristics of Endpoints. 12.3 The Eckert Progression as the Product of Re-Analysis by Language Learners. Part C The Unit of Linguistic Change. 13 Words Floating on the Surface of Sound Change. 13.2 The Fronting of /uw/. 13.3 The Fronting of /ow/. 13.5 The Raising and Fronting of /æ/ in the Inland North. 13.7 Participation in Sound Change. 13.8 The Modular Separation of Phonological and Social Factors. 14 The Binding Force in Segmental Phonology. 14.1 Is There Allophonic Chain Shifting before Nasals? 14.2 Allophonic Chain Shifting in the Southern Shift? Part D Transmission and Diffusion. 15 The Diffusion of Language from Place to Place. 15.1 Family-Tree and Wave Models of Change. 15.2 Defining Transmission and Diffusion. 15.4 Accounting for the Difference between Transmission and Diffusion. 15.5 Diffusion in Dialect Geography. 15.6 The Diffusion of the NYC Short-a System. 15.7 The Transmission and Diffusion of Mergers and Splits. 15.8 Diffusion of the Northern Cities Shift. 15.9 The Social Context of Transmission and Diffusion. 16 The Diffusion of Language from Group to Group. 16.1 Diffusion to the AAVE Community. 16.2 Influence of Surrounding Dialects on AAVE Pronunciation. 16.3 The Diffusion of Constraints on -t, d Deletion to Children in Minority Communities. 16.4 The Diffusion of Grammatical Variables to Adult Members of the African–American Community. 16.5 Directions of Diffusion in the Latino Community. 16.6 The Nature of Diffusion across Communal Boundaries. 17.1 Summary of the Argument. 17.2 The Relation of Linguistic Change to Animal Systems of Communication. 17.3 More on the Functions of Language. 17.4 Social Intelligence and Object-Oriented Intelligence. 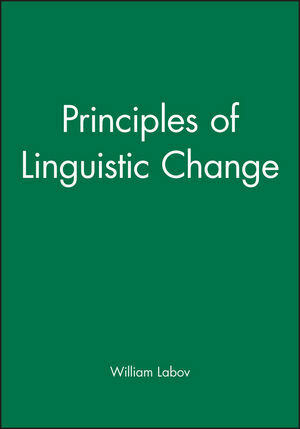 The culminating volume in Labov's magnum opus on language variation and change will assure forever his indelible imprint on the field of linguistics. Thanks to Labov, the field should never be the same." "William Labov completes his monumental study of sound change by examining the forces that drive divergence and convergence in neighboring communities. His impeccable attention to detail is illuminated, as always, by his sensitivity to the social, communal and personal motives that lie behind the ways in which we talk to one another." "Labov's inexhaustible creative wellspring produces a fountain of insight and essential reading for all scholars concerned with language as a dynamic social organism. This volume assembles elements of his work into a grand mosaic: a work of science, but also a work of art."